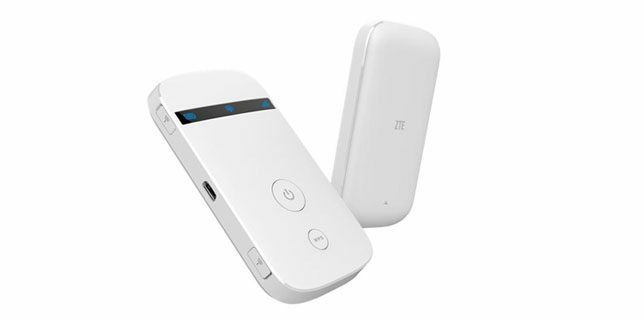 ZTE MF90G Wifi Router is the new 4G uFi(unified WiFi) mobile hotspot device, which works with 4G LTE FDD & TDD networks. It could support peak download speed up to 100Mbps and upload to 50Mbps on FDD networks. ZTE MF90G is so popular that is sold by most of the popular network providers in locked status. The good news is that you can unlock ZTE MF90G using a correct Unlock/NCK code. Once the ZTE MF90G router is unlocked, it will work with any SIM in any part of the country and worldwide. Make sure your ZTE MF90G router is at least 30% charged. If not, charge it. Switch off your router and insert a non-acceptable Network SIM (i.e. if your router is locked to Network “A” then insert the sim of Network “B”) on your ZTE MF90G router. The web browser should open automatically. If not, then open it manually and login to your device’s dashboard at http://192.168.0.1 or http://192.168.1.1 or http://192.168.8.1 depending on ZTE MF90G IP address. Enter the correct Unlock/NCK code received from unlockmyrouter.com and click OK, the ZTE MF90G might reboot to display the new network. Note: The ZTE MF90G router sold by some of the providers do not prompt to enter the Unlock/NCK code. If you are one of them, Go to setting and choose APN. Right click on the web page and choose Inspect. The HTML coding of the webpage will get displayed. Search for the word Unlock. You will get “display: none” in three different places. Carefully replace each of these with “display: yes”. Once it is done, the option to enter the unlock code will be enabled.